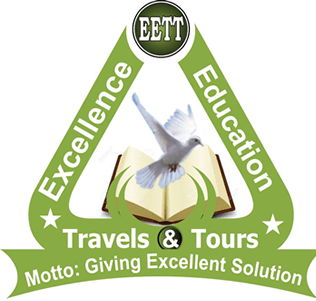 Excellence Education Travels and Tours offers Top notch GMAT training to prospestive test takers as well as resources and Gmat registration in Nigeria. The Graduate Management Admission Test (GMAT) is a standardized test that measures Verbal, Mathematical and Analytical writing skills. The test is designed to help business schools assess the potential of applicants to succeed in their graduate management programmes. The GMAT scores play a significant role in graduate admissions decisions since they are more recent than most academic transcripts of an applicant. The GMAT is a computer adaptive test (CAT) and no two students get an identical set of questions. GMAT is administered round the year and candidates should register for the exam with us on time to secure space. GMAT® score is valid for five years unlike most of the examinations like CAT whose scores are valid only for a year. The test has been administered for over 50 years, in more than 160 countries around the world including USA, UK, Canada, Australia, New-Zealand, China and India by the GMAC (Graduate Management Admission Council). The GMAT is developed and administered by the US-based Pearson VUE under the direction of the Graduate Management Admission Council (GMAT) a non-profit Organization of graduate business schools worldwide. This implies that Pearson VUE conducts the test and sends each examinee the score report. The GMAT Test has four sections- Verbal, Quantitative, Integrated Reasoning and Analytical Writing assessment. Questions in these sections are dynamically selected as you take the test to stay commensurate with your ability level. Therefore, your test will be unique. Just one question is shown on the screen at a given time. It is impossible to skip a question or go back to a prior question. Each question needs to be answered before the next one. The GMAT total score is reported on a scale from 200 to 800. Note that your AWA performance is not reflected in your total GMAT score (on 800). You get to know your total – verbal, and quantitative score immediately after taking the test. 1 topic Analysis of Argument 30 minutes INTEGRATED REASONING. 12 questions in multi-source Reasoning. Analytical Writing Assessment (AWA) section grades are from 0-6 in 0.5 increments. Integrated Reasoning section is scored on a scale of 1-8 in 1 point increments. Quantitative scores can range from 0 to 60 (known as scale score). Verbal scores can range from 0 to 60 (scale score). Total score can range from 200-800 in 10 point increments. HOW DO I REGISTER FOR THE GMAT IN NIGERIA? The GMAT is all round the year. The test is administered 5days a week (Monday through Friday except or public holiday), twice a day. In case you intend to take the test, you need to register with us very early (30 days in advance) to get a date of your choice. Otherwise, registering at least 15 days in advance is Mandatory. 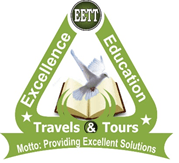 Excellence Education Travels and Tours will get you registered for the GMAT at your own convenience exam date. WHAT SCORE DO I HAVE IN THE GMAT TO BE ADMITTED? Average GMAT score is based on data given by Universities (business schools) of admitted students. Good GMAT scores are relative to your GMAT score vs your target MBA programme. It should be known that every school has different score requirements and it is advisable to have a good score. The names of the GMAT® programmes to which you would like to send your GMAT scores. Note; you will not be allowed to bring notes with names of those programmes into the testing room. The appointment confirmation letter you received from Pearson VUE. Our teaching philosophy is based on three key elements – concept, application and strategy. We focus on skill-based approach that leads to mastery instead of tricks to crack each question types. We ensure that all our faculty members are available to help students on a more personal, one-on-one level. Students are encouraged to approach their instructors at any time outside class with questions or difficulties they may be having. 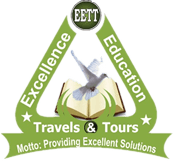 Excellence Education Travels and Tours’ faculty are there to provide you with whatever you may need to achieve the results you desire. With the class room Training package, we also include a complimentary admission counseling session that will help you use your high scores to achieve the highest quality University education possible. We give the best GMAT Training among other training centers in Nigeria. Call us for week days and weekend classes on 08180003159. Our instructors are experienced teachers that adapt to the individual learning style. Our teachers are not only experts in Math and English but specialize in preparing students for standardized tests. The test can be given all year round with prior registration and depending on the availability of dates. The test can be written through Monday – Sunday of each week except on public holidays. If you are wondering about which GMAT training materials are the most up to date and comprehensive, look no further, we bring you right combination of reliable materials and guidance from the experts. Barron’s The Leader in Test Preparation NEW GMAT. We have latest study materials from authors like MBA, Kaplan, Barron, Princeton, Manhattan etc. Get the latest GMAT study materials shipped to your address anywhere in Nigeria. The test can be taken in both Lagos and Abuja all round the year. Lagos test days; Lagos GMAT centers test on all days except (public holidays and Sundays of every week). Abuja test days; Abuja GMAT centers test only on Tuesdays and Thursdays of every week except on public holidays.